ORIENT PUBLICATION: INDIAN KARAOKE LEAGUE (IKL) launched. INDIAN KARAOKE LEAGUE (IKL) launched. 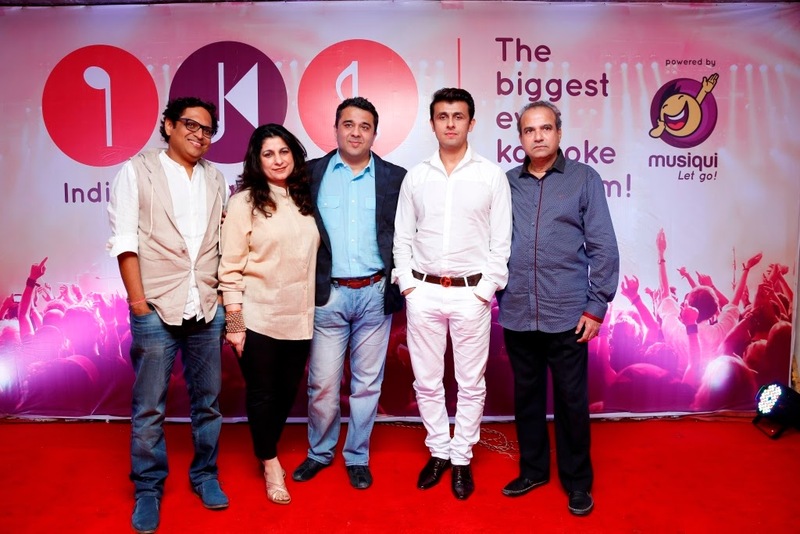 Musiqui App launched the first ever Indian Karaoke League (IKL) at Suresh Wadkar’sAjivasan Music Academy, Mumbai. If music connects people, then karaoke helps them become ‘buddies’. It’s a fun way of socializing, by putting all your inhibitions aside. And now it’s set to make you famous as well. Musiqui, for the first time in India announced the launch of the biggest platform where anyone and everyone can sing his or her heart out without any restrictions. The app provides license to sing, magic tune the song and make it equivalent to a professional studio recording. These recordings can become the first step towards the stardom and eventually winning the IKL. Indian Karaoke League (IKL) is a nationwide hunt for the best Karaoke singer. For greater levels of participation, the league will be divided into four groups - College Champs, School Stars, Professionals and Amateurs. Contestants can participate in any of these four groups, through the Musiqui app. Present at the launch event today were the esteemed panel members of IKLwhich included Chief Mentor &MahaguruPT. SURESH WADKAR, Co-founder & Brand Ambassador SONU NIGAM, Chief Advisor SHAMEER TANDON, Member Advisory Board MALA SEKHRI, Co-founder & CEO SANJAY CHITALE. The panel interacted with media and shared their views on how the initiative came into existence and presented an overview of the competition. Also present at the event were eminent personalities from music fraternity such as Talat Aziz, Abhijeet Bhattacharya among others. Music Today represents the Musiqui App in India. A special thanks to IKL associates Chlorophyll and Khimani& Associates for lending their support and making IKL possible. Khimani& Associates is a celebrity and media law firm based in Mumbai who have, since the inception of Musiqui and IKL, provided their legal advise and expertise in protecting all intellectual property rights associated with the App and the League.